How can I activate a Payment Gateway Integration? HOME > CHANNEL MANAGER AREA > How can I activate a Payment Gateway Integration? STEP 1: First you need to confirm to GuestCentric the activation of your Payment Gateway service. Your Payment Gateway provider should give you your account details, so you can later assign them in our platform. STEP 2: Now, you need to set your new Payment Method. Assign your Payment Gateway service to the different payment methods you have active. This way, no more credit card information will be displayed in the Reservations Area as it will be automaticaly charged by your Payment Gateway provider. By default you have "Manual Credit Card" enable, you need now to select the option from the drop down list available. 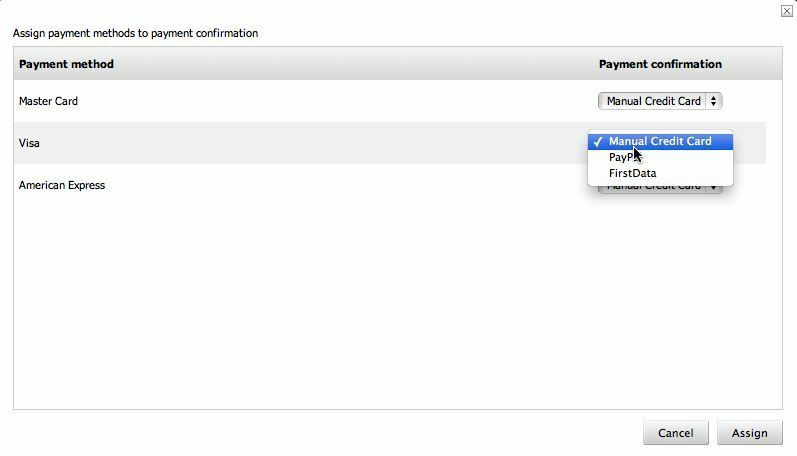 STEP 3: Please add your Payment Gateway details to GuestCentric system. STEP 4: Check your cancellation policies and guarantee that the deposit rule is active with the correct information. Please make sure that your deposit rule is updated with the definition of 1 day and with the percentage you want to charge. In case you receive a reservation that shows a status "With warnings", that means that an error occured. Please check that reservation to see the details of the error. When this happens, the credit card details are restored in the reservation. In case you detect that a reservation has not been charged, please contact us so that we can check what is happening and support you accordingly. With the Payment Gateway integration, there will be no credit card information on the reservation. Instead, on the Notes Area there will be the tansfer code and details of what was charged through the Payment Gateway service. Changes with prices on the reservations that were already charged are not updated automatically by GuestCentric. The integration with GuestCentric and the Payment Gateway is one way and it only communicates once per reservation. Those changes and updates have to be made directly on the Payment Gateway Service Area. Please check here the details about What do I need to set a Payment Gateway Integration?